Did you know that wedding rings are thought to symbolize a union with no beginning and no end? The circle is a metaphor for an eternal connection, such as what happens when we wed. Additionally, the center was to be a gateway. This door allows newlyweds to enter and enjoy a wonderful phase of their lives. If you have been searching everywhere for the right estate wedding band but feel like they all look too similar to be really special and unique, we invite you to browse the Dover Jewelry collection. Our vintage and antique wedding bands are perfectly suited for distinctive ladies who want to wear something no one else will have. Each wedding band has been meticulously evaluated by our professional team, providing you with peace of mind. In addition, all of our wedding bands include complimentary Free Shipping with a Risk-Free Guarantee Plus, we will ship your wedding band to you for free. 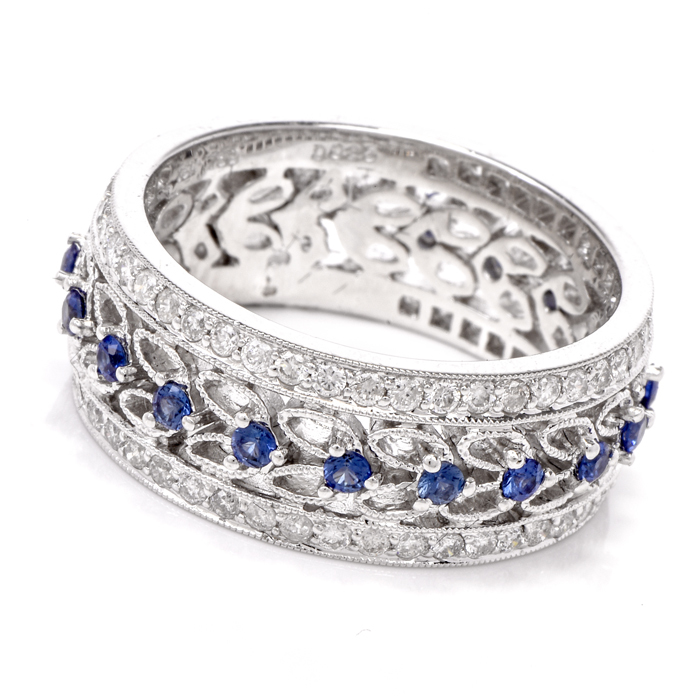 Place your order for a vintage wedding ring today. Questions? Give our customer service members a call, and we’ll help you make your final selections. 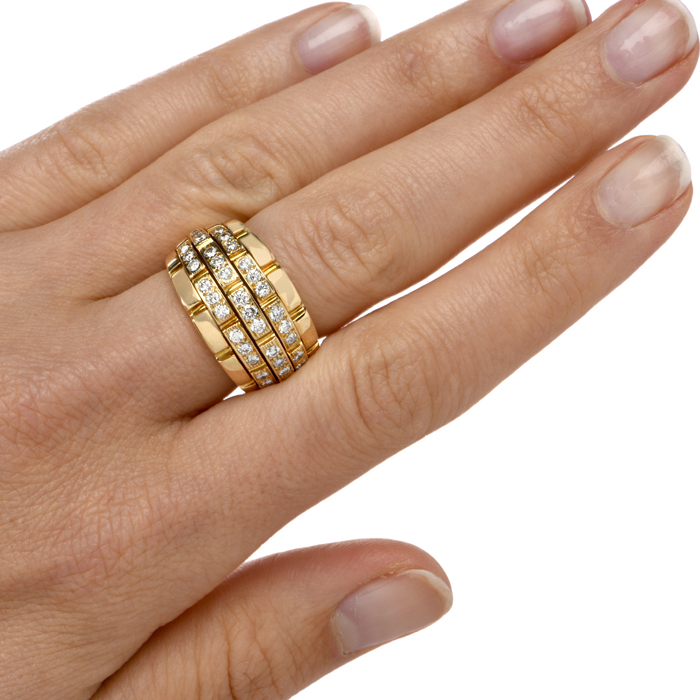 Are you seeking a gold or platinum wedding ring or band unadorned by precious or semi-precious gemstones? Our collection includes many varieties. Some are labeled under our estate category. These are all pre-owned bands and rings, and they may or may not have come from a larger private collection to our Miami, FL showroom. If you adore the simplicity of a basic band, you’ll appreciate the high quality of our merchandise. Many gold and platinum wedding bands were made by the world’s top jewelry houses. This is noted in their descriptions. Make sure your nuptials are everything you want them to be. If you have a dream wedding band, you can probably find it in our ever-evolving gallery of options at Dover Jewelry. 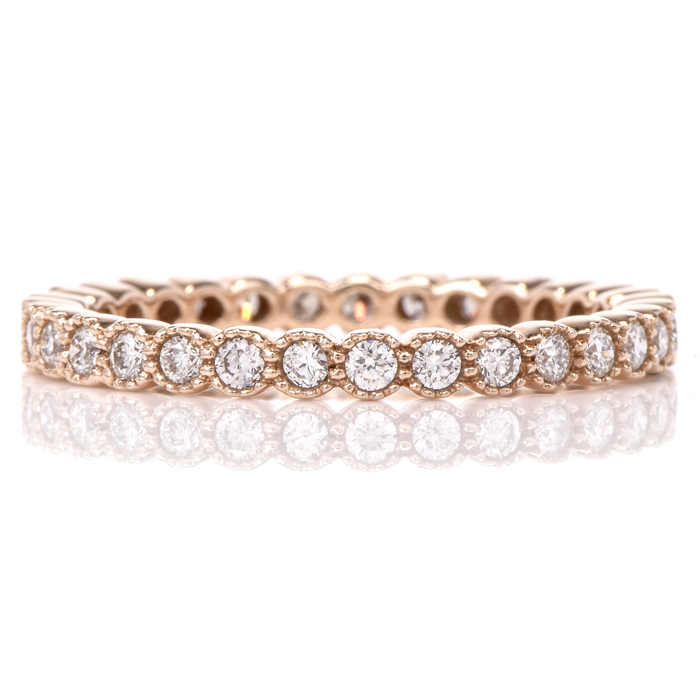 Many of Today’s Wedding Band selections include Diamonds set within the band. Antique and Vintage Diamond wedding bands also include this exquisite design, accentuating the brilliance of the accompanying diamond engagement ring. Diamonds are often placed into wedding bands and rings today, and antique and vintage times were no different. However, the quality and setting of the stones was often far superior as a result of their handmade craftsmanship. due to a lack of mass production. 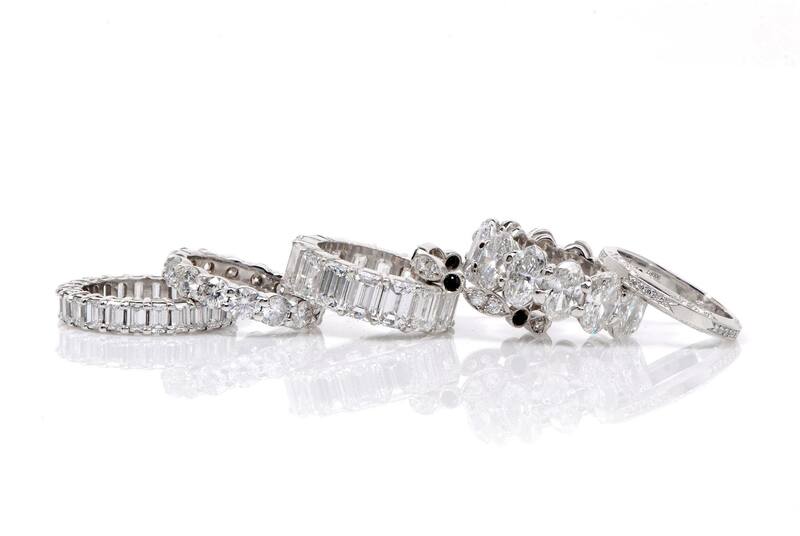 Many of the vintage diamond wedding bands we offer from 100 years ago or longer were made by hand, not machine. They are a testament to incredible workmanship and amazing design. 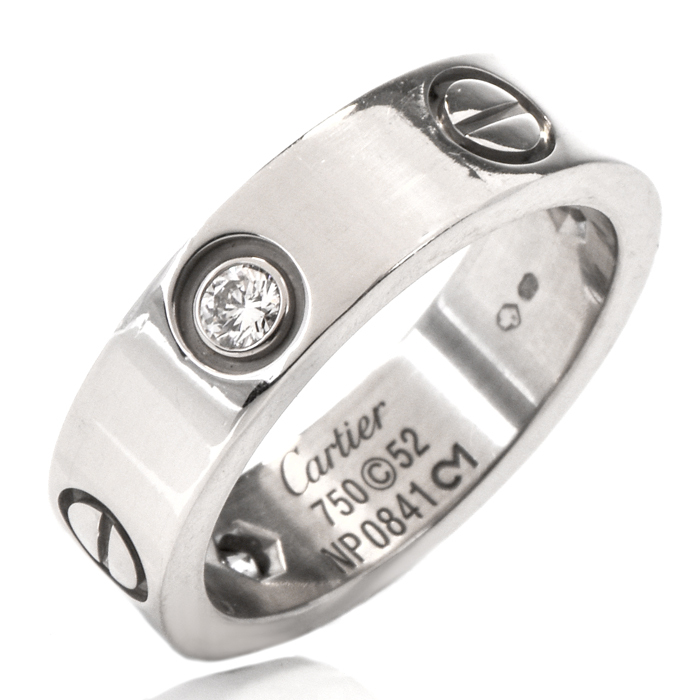 Each diamond wedding ring or band we offer, whether it’s an estate diamond wedding band, an antique platinum wedding band or a vintage white gold wedding band, includes a complete description of the piece. 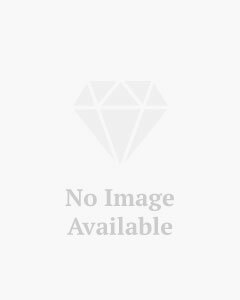 Our goal is for you to have all the information you need to make your purchase. All of our Diamond Wedding Bands and Rings are accompanied by That’s why we accompany professional photographs with all our pieces, giving you a complete visual experience with tan insider’s look at our gallery of fine jewelry. When you purchase any diamonds or gemstones from Dover jewelry & Diamonds us, you will receive an Insurance Appraisal Certificate of Authenticity from our gemologists.